One of the questions I get asked most about running the newsroom is how we handle breaking news, especially when there are conflicting reports about what really happened. A recent incident on the West Side is a good example of how our company’s mission of delivering trusted news sets us apart from other places to get information. It started when a bloodied man walked into a Second Street pizza shop in the early afternoon. One thing was immediately clear to the employees who called police: Something terrible had happened and this man needed help. We had some basics facts, but that’s where things started spinning out of control. One of our regional correspondents, Jason Schreiber, who I think has a radio scanner implanted in his brain, could hear dispatchers in nearby towns asking if there were any K-9 units available to search for a possible armed robber in Manchester. City fire dispatchers, in a garbled message we could only hear a portion of, sounded like they may have said the man had been shot in the head. We couldn’t tell. It sounded like it was becoming much more serious. Managing editor Matt Sartwell made the executive decision to reassign business reporter Mike Cousineau from his previously planned story and send him, along with photographer Dave Lane, to the scene. City Hall reporter Paul Feely and I worked the phones, splitting up all the nearby businesses to see if we could find witnesses. There were a number of immediate questions: Is the public in danger? If so, what can we do to help keep residents safe? Was there a robbery? Was the man shot? Is he dead? That wasn’t true. Most of what we heard in the first moments after police were called turned out not to be true. The robbery wasn’t at the pizza place; the victim had just walked in there for help. There was no shooting. The man wasn’t dead. There was no manhunt. This is why local reporters who fastidiously confirm facts before reporting them are so important. We never report raw scanner chatter during an emergency. We make sure to confirm every detail in a story, either from an official source or multiple witnesses. And when we make our own errors, we’re transparent about what we got wrong. 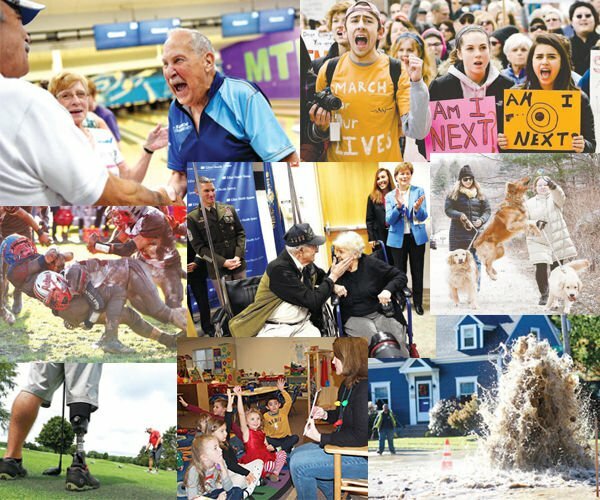 Being local also helps flesh out stories. Our secret weapon, Katie McQuaid, who wears eight hats here and knows everyone in the city, was able to develop a lead who helped us identify the victim the next day. We were able to share his story and that of his dog, which sadly died in the incident. There has still been no arrest in the case. Police are looking for a white man, about 5-foot-7, who was wearing a dark jacket and pants around 1:21 p.m. on April 19 near 865 Second St. If you know anything, you’re urged to call the Manchester Crimeline at 624-4040. 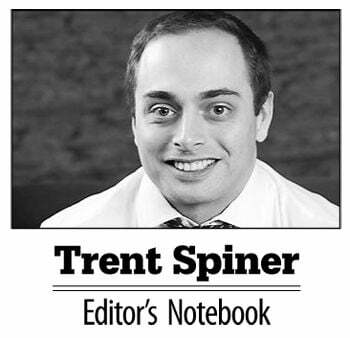 Trent Spiner is executive editor of the New Hampshire Union Leader and Sunday News. Email him at tspiner@unionleader.com.